The Georgia Agricultural Hall of Fame has two new members: former U.S. Sen. Saxby Chambliss and the late Thomas Richard Breedlove Sr., a pioneering northeast Georgia dairy farmer. Breedlove and Chambliss were inducted Sept. 25 as part of the University of Georgia College of Agricultural and Environmental Sciences (CAES) Alumni Banquet and Awards Ceremony. The Georgia Agricultural Hall of Fame was established in 1972 to recognize individuals who made unusual and extraordinary contributions to the agriculture and agribusiness industries in Georgia. Former inductees include agricultural history-makers such as Tommy Irvin, Georgia's former commissioner of agriculture; D.W. Brooks, founder of Gold Kist, Inc. and Cotton States Mutual Insurance Companies; J.W. Fanning, former UGA vice president for public service; and J. Phil Campbell Sr., founding director of the Cooperative Extension Service in Georgia. This year's winners—Chambliss and Breedlove—have their own long list of accolades. During 20 years in the U.S. Congress, Chambliss earned a reputation as an advocate for agriculture. He was working on behalf of farmers long before he went to Washington, D.C., in 1995. He started his career as an attorney in his hometown of Moultrie, Georgia, representing the interests of the farmers he grew up around. When he was elected to represent Georgia's 8th Congressional District in the House of Representatives in 1994, he became an advocate for farmers and ranchers across America. Chambliss helped shaped the nation’s agriculture policy, assisting with authoring four farm bills during his tenure in the U.S. House, from 1995 to 2002, and in the Senate, 2003-2015, where he chaired the Senate Agriculture Committee from 2005-2007. 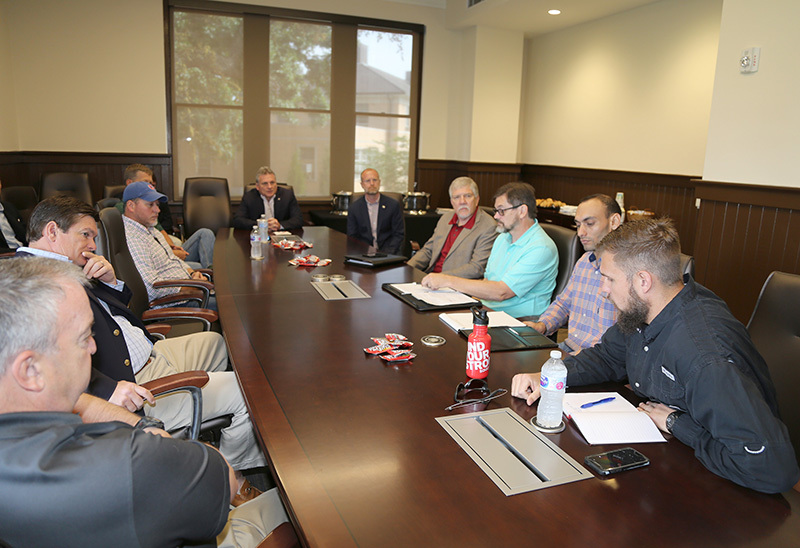 While Chambliss worked to help farmers make the transition to the 21st century, Breedlove helped bring Georgia farmers through another time of uncertainty. The dairy and beef farmer in Walton and Morgan counties helped introduce Georgia farmers to what is today the U.S. Department of Agriculture Farm Service Agency. He was the first and longest-serving executive director of its precursor, Georgia's Agriculture Adjustment Administration, working for the organization from 1939 to 1955. 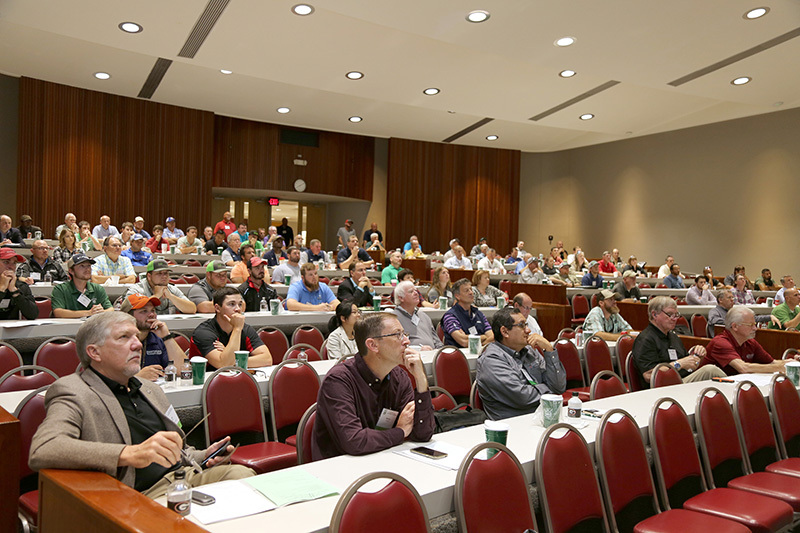 In the early 1950s, Breedlove also represented nine Southeastern states as regional director of the field service branch of the Federal Production Marketing Association. He was a founding board member and first president of Walton EMC, the electric membership cooperative that helped bring electricity to thousands of farm families in northeast Georgia during the 1930s, and a founding vice president of United Georgia Farmers, which today is known as the Georgia Farm Bureau. In addition to recognizing Chambliss and Breedlove, the ceremony and banquet also honored several CAES alumni. 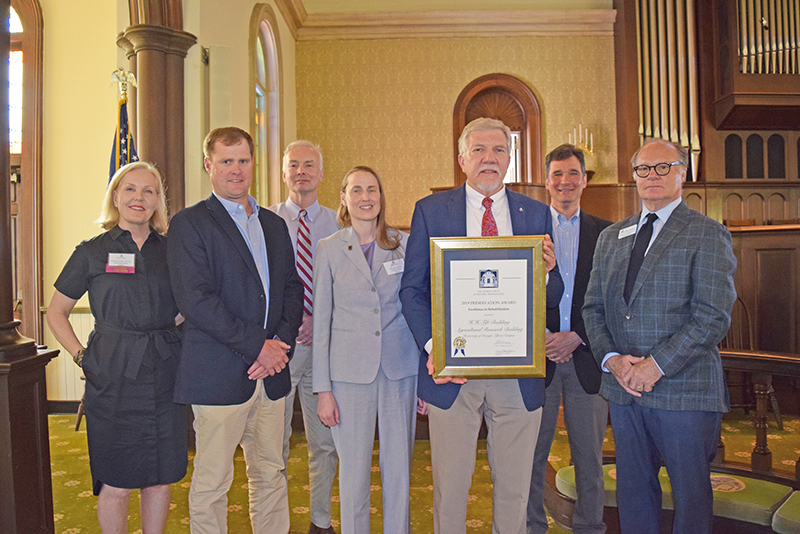 This year, Georgia's agricultural community nominated Bo Warren, director of the Georgia Center of Innovation for Agribusiness, and Jimmy Forrest, a nationally recognized peach grower and owner of Dixie Belle Peaches in South Carolina, for the CAES Alumni Awards of Excellence. Travis Moore, senior brewmaster at the Anheuser-Busch Brewery in Cartersville, Georgia; Carmen Byce, a combat veteran who worked to improve livestock husbandry in Afghanistan; and Megan Green, a large animal veterinarian who works for animal health company Merial, received young alumni awards. 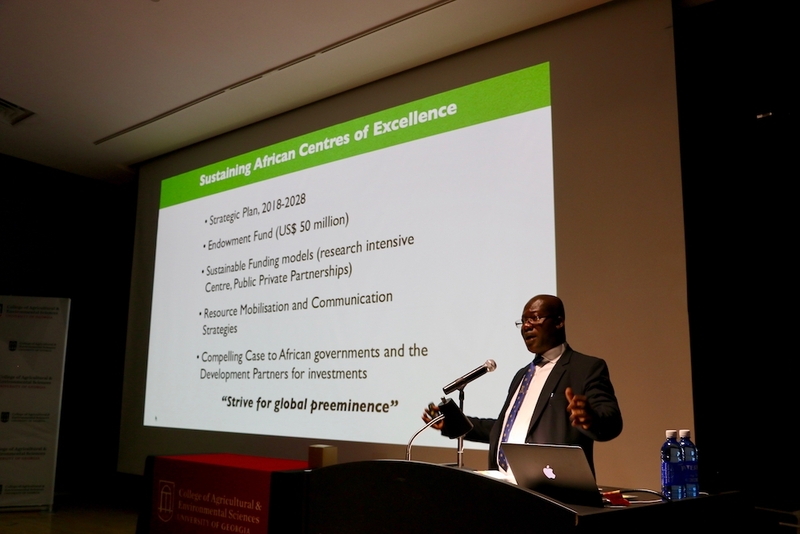 For more information about the CAES Alumni Association, visit caes.uga.edu/alumni/CAA/. For more information about the Georgia Agricultural Hall of Fame, visit caes.uga.edu/alumni/fame. Most Americans buy food knowing that they will likely throw some of it away. And, as incomes rise, so does the amount of food that’s wasted. 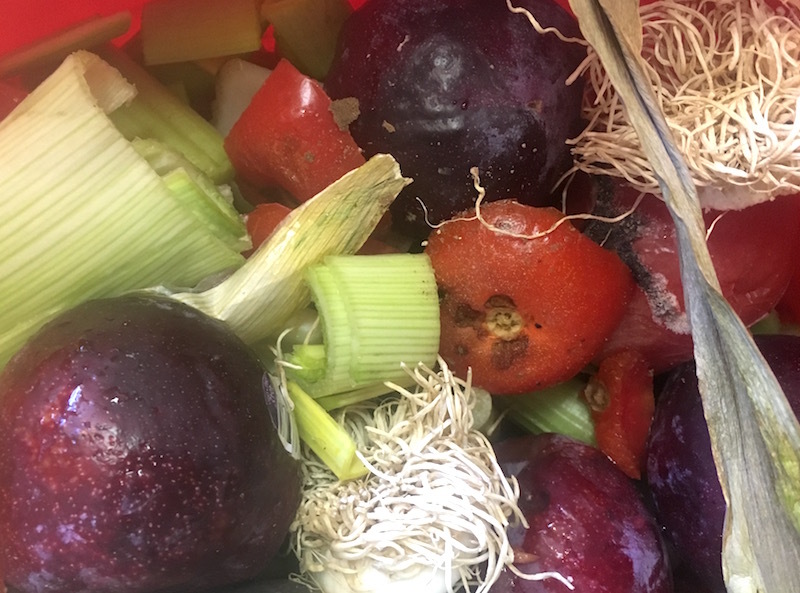 These are just a few of the findings revealed by a food waste study conducted by University of Georgia economists in the College of Agricultural and Environmental Sciences. 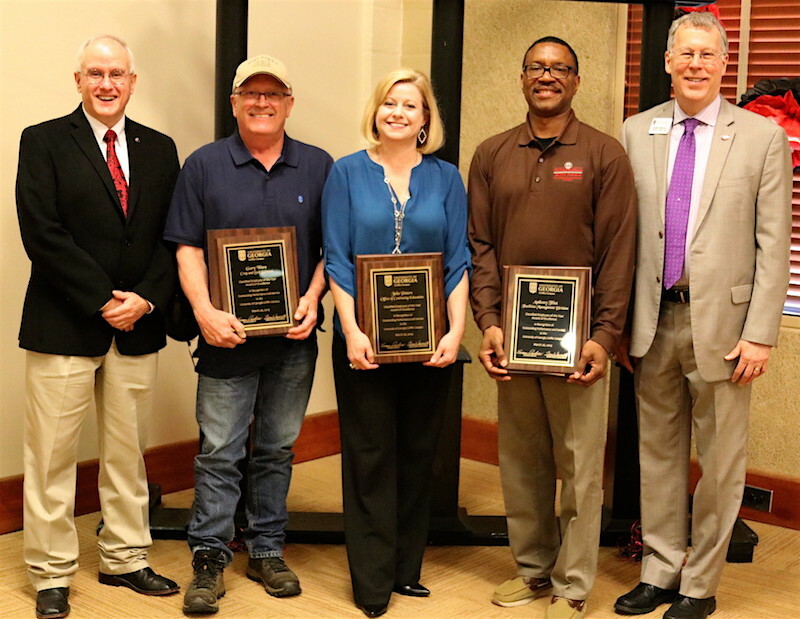 Anthony Flint, Julie Peters and Gary Ware were honored as the University of Georgia Griffin campus 2019 Classified Employees of the Year during the annual Classified Employee Recognition Ceremony held March 26.